By Joshua Gillin on Thursday, August 17th, 2017 at 4:10 p.m.
Tucker Carlson said the United States ended slavery around the world during the Aug. 15, 2017, episode of "Tucker Carlson Tonight." Fox News Channel’s Tucker Carlson said on his primetime talk show that while many are arguing for the removal of Confederate monuments because they legitimize slavery, America should get some recognition for stopping the practice globally. On the Aug. 15, 2017, episode of Tucker Carlson Tonight, the host was discussing with political commentator Jasmyne Cannick whether former U.S. Sen Robert Byrd’s name should be removed from a building because Byrd was once a recruiter for the Ku Klux Klan. "The United States ended slavery around the world, and maybe we should get some credit for that, too," he said. We don’t know exactly how Carlson was defining slavery, whether as a government-sanctioned practice or criminal enterprise. We reached out to the show and to Fox News Channel but did not get a response. But he’s not right in any case, historians told us. "If anyone could lay claim to leading anti-slavery forces in the world it was Britain, which after it abolished the slave trade and slavery made anti-slavery a leading aspect of its foreign policy and policed the Atlantic to end the slave trade," University of Connecticut history professor Manisha Sinha said. Several Western nations ended slavery before the United States did. Spain abolished it in 1811, although Cuba refused the royal decree. Sweden, the Netherlands, France and Portugal all banned the slave trade — but not the owning of slaves — shortly thereafter. The British didn’t officially abolish slavery until 1833. Then other European powers began to follow suit. Fast forward to the 1860s, when the Confederate States of America’s surrender to Union forces dovetailed with the official end of slavery here. But that wasn’t the last word on slavery. "The 13th Amendment abolished chattel slavery in the United States, but slavery continued in Cuba and Brazil until the 1880s, and in other places in the world well into the 20th century," Georgetown University history professor Adam Rothman said. Slavery and indentured servitude in Cuba finally ended in 1886, while Brazil stopped the official practice of slavery two years later. That’s still not the end of the story, however. "Slavery still exists in most every corner of the world," Siddharth Kara, director of the Program on Human Trafficking and Modern Slavery at Harvard, told us. "When people speak about the abolition of slavery, what they mean is the abolition of the legally sanctioned institution of buying and selling other people like property." But forced labor continued, perpetrated by the likes of Nazis and the Soviet Union. Child labor and bonded labor, in which people must work to pay off debts, remains a problem, particularly in the Third World. The Associated Press won a Pulitzer Prize in 2016 for documenting cases of slavery in the seafood industry in Southeast Asia. "The global campaign against modern slavery has been going on for a long time under the auspices of international anti-slavery NGOs and organizations like the U.N., which the U.S. participates in," Rothman said. "But at the same time, it's likely that forms of unfree labor akin to slavery lurk in the dark shadows at the end of the global supply chains of American businesses." Carlson said, "The United States ended slavery around the world, and maybe we should get some credit for that, too." 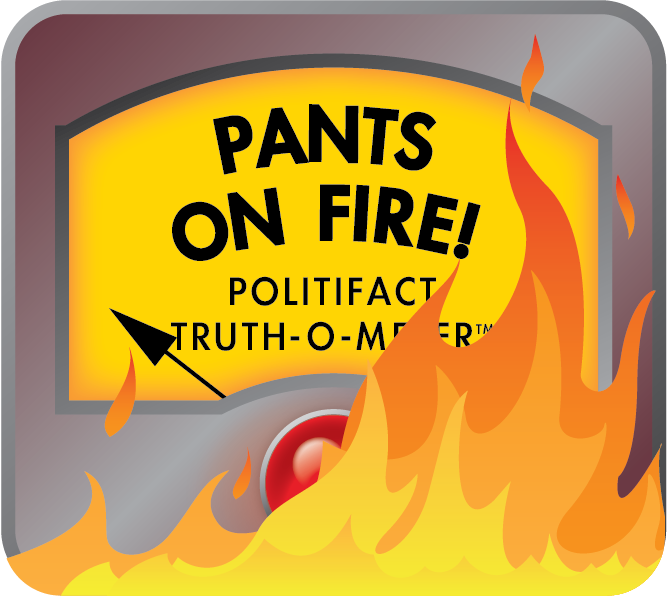 We rate Carlson’s statement Pants On Fire! Published: Thursday, August 17th, 2017 at 4:10 p.m.